The student-athlete and the art major may be two stereotypes that mix like oil and water. 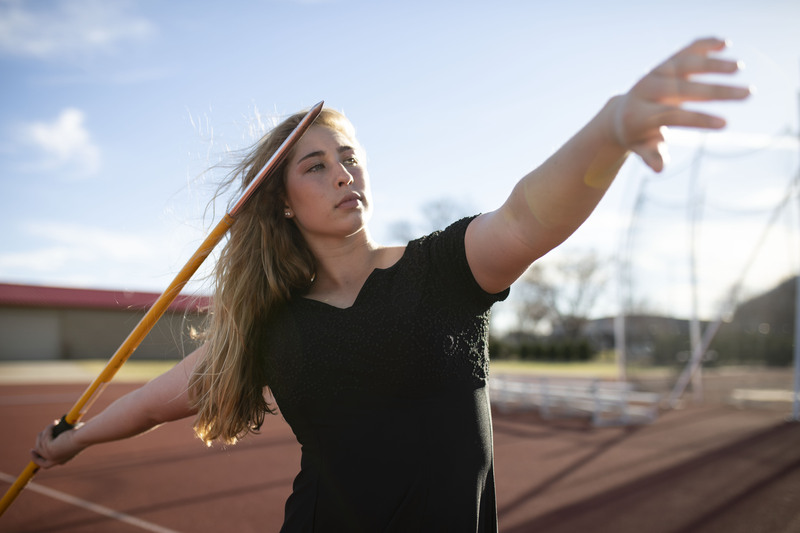 However, for USD students like freshman Katie Brust, balancing the two pursuits is as natural as picking up a paintbrush. Brust discovered USD through an art portfolio review by USD faculty in Northfield, Minnesota. She said she wanted to pursue both a B.F.A. program and a B.S. in medical biology. “The art was a determining factor for me just because USD offers a Bachelor of Fine Arts which is the most prestigious undergraduate art degree you can get. Getting a medical biology double major was just impossible at all the other places I looked, so I was really impressed with the flexibility of USD’s program,” Brust said. Brust is just one of several athletes who is an art major of some sort. Of the four athletes interviewed for this story–Brust, Isaac Morris, Makenzie Burmeister and Josey Starner–they all agreed time management and organization are key to their success. Burmeister said the studio classes are either from 9:00 a.m. to 11:50 a.m., or from 2:00 p.m. to 4:50 p.m. for the general core classes. Isaac Morris, a junior fine arts major with a graphic design emphasis and a member of the diving team, was drawn to USD for both design and athletics. He said it’s hard to manage time around his studio classes. Starner said she’s used to having a busy schedule and making adjustments. While Brust hopes to go to medical school after her undergraduate studies, she wanted to keep art as a double major. Brust, who is also taking 22 credits this semester, is an honors ambassador, SGA senator, study abroad ambassador and Beede-Mickelson Complex Council president, while pursuing her honors thesis on Vermillion’s architecture, said it takes “mad organizational skills” to keep up. “I also want to start a hammock club,” Brust said, with a laugh.